March 30, 2015 - Cayuga County, NY - You can find birds in the Finger Lakes any time of year, but spring migration brings out the best show as birds are decked out in their colorful breeding plumage. For casual and serious birders alike, the Finger Lakes are a treasure trove for birding, especially in the spring. From Sterling Nature Center on Lake Ontario to Howland Island Wildlife Management Area in Port Byron to Bear Swamp State Forest in Moravia, Cayuga County has plenty to keep bird watching enthusiasts interested. 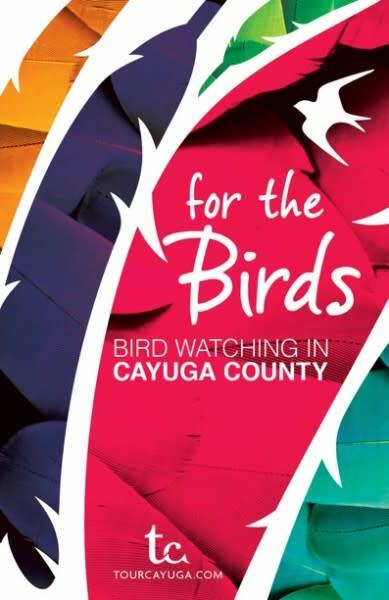 But, before you head out, stop in the Cayuga County Office of Tourism at 131 Genesee Street in downtown Auburn and pick up the ‘For the Birds’ guide to bird watching in Cayuga County or call 800-499-9615 to have the Guide sent to you. The Guide is free and a great tool to help you identify our feathered friends!